More than 60 million people worldwide suffer from autism, and many struggle to make eye contact and have poor social skills. While there is no cure for the condition, the use of technology in autism treatment has grown in popularity in recent years. And Samsung’s latest Look At Me app uses technology in a way that helps improve eye contact and boost autistic children’s social skills and facial recognition abilities. This app was developed by Samsung, in collaboration with professors, doctors and designers in South Korea. The team created a series of games, or ‘missions’ designed specifically to help children with autism make eye contact, read facial expressions and express their emotions. 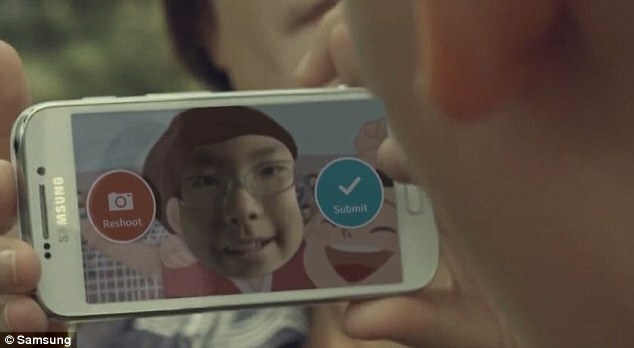 Could Samsung’s app ‘Look At Me’ help autistic children read emotions? | Daily Mail Online.